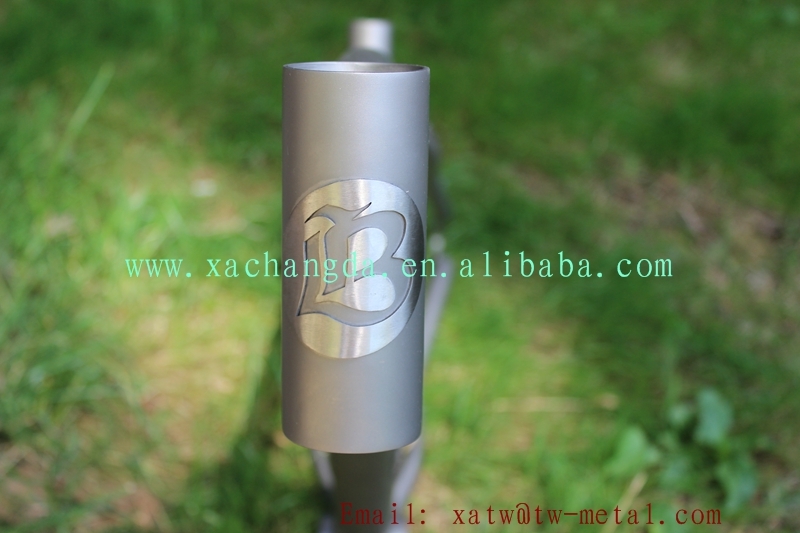 3, Special dropout Logo design and Ti plat Logo on the down tube, and also Logo badge on the head tube. 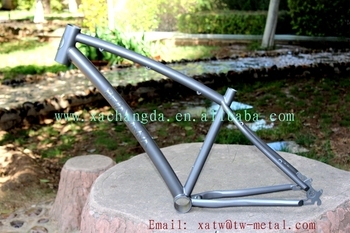 4, sand blast frame and polish Logo on the frame. 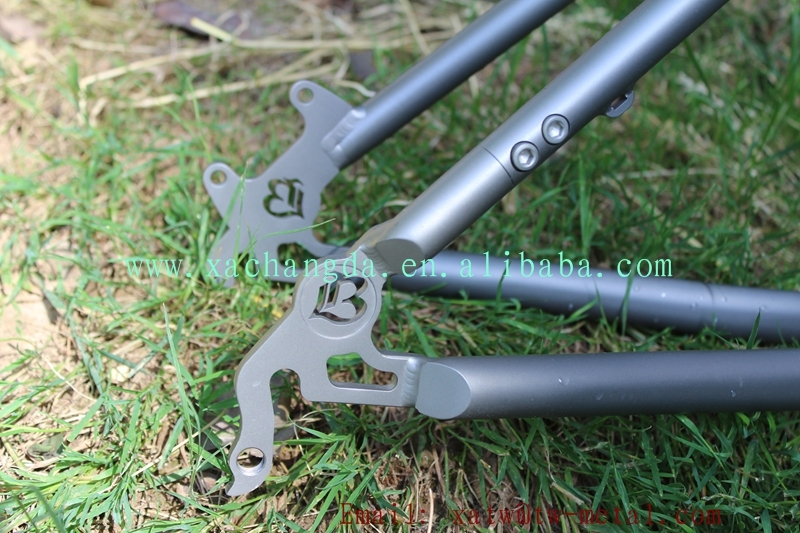 really beautiful right? 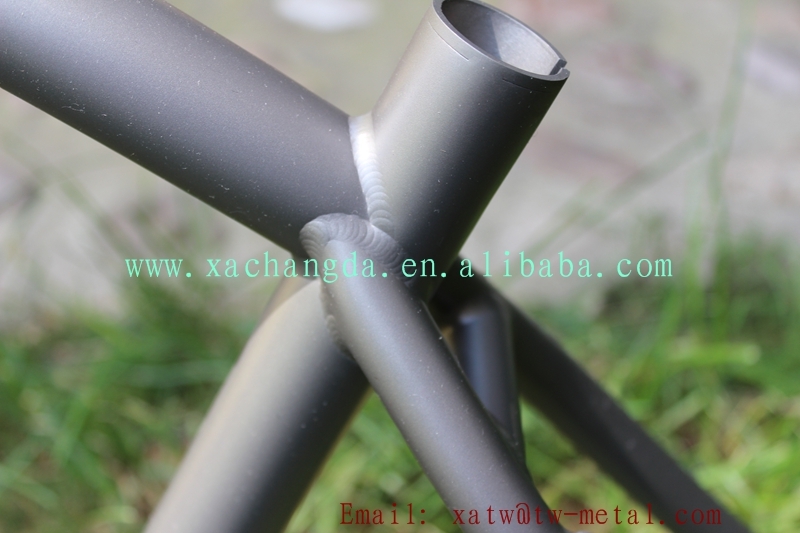 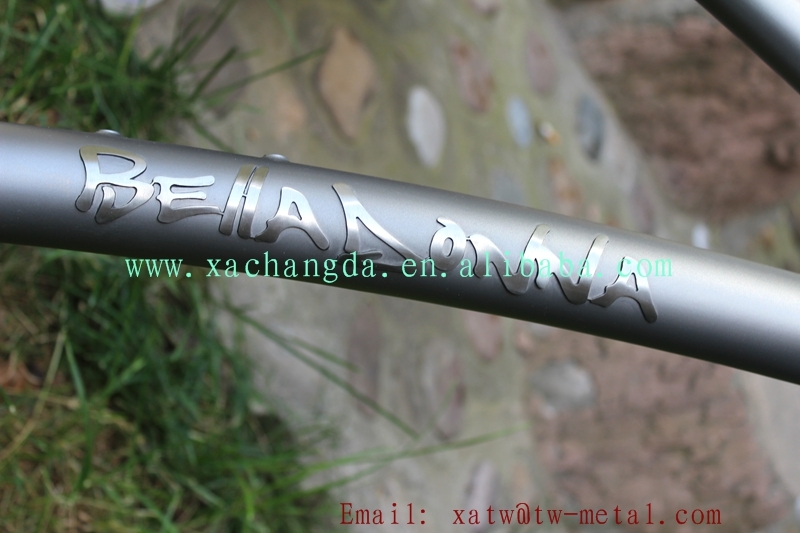 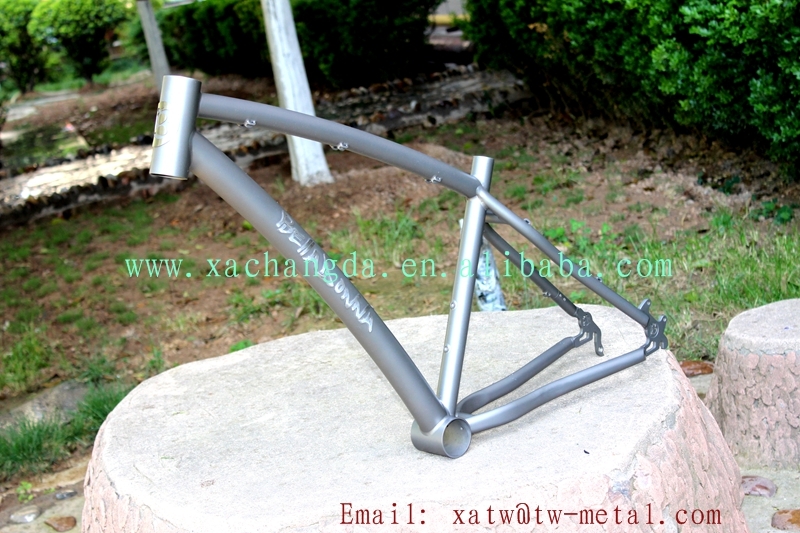 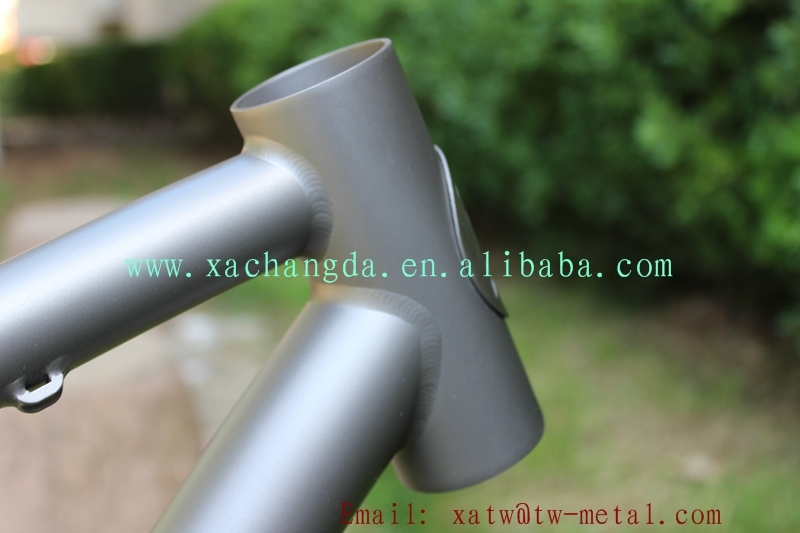 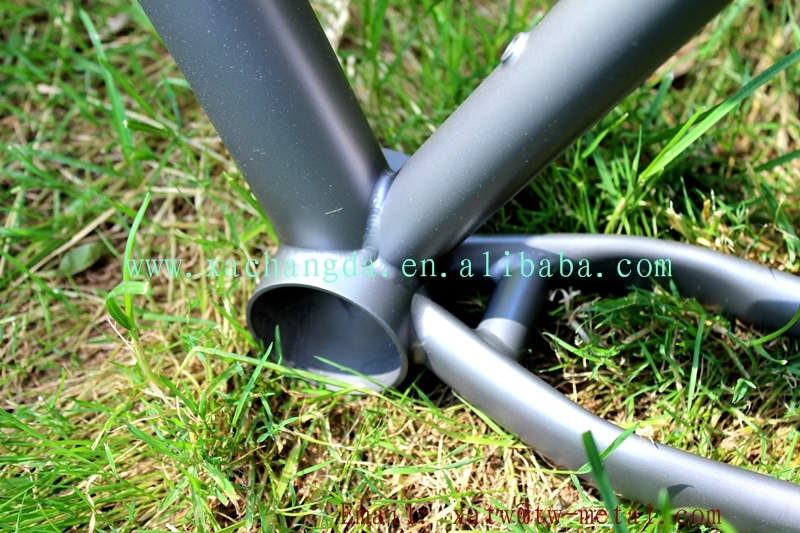 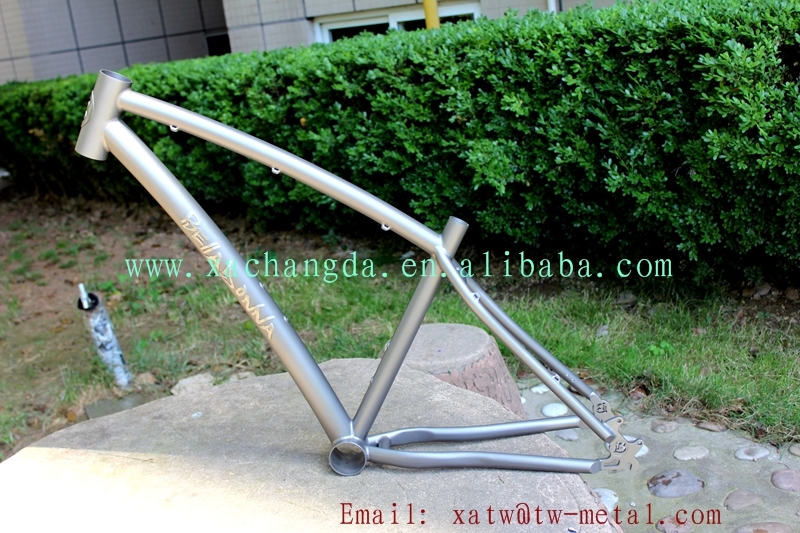 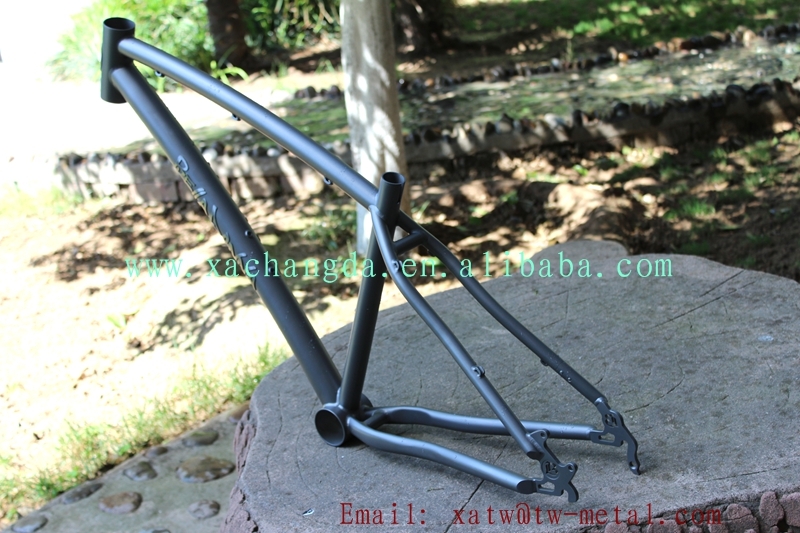 All our this titanium bike frames can be customize according to your request.